Two pets per apartment home. Breed restrictions apply. Weight limit is 75lbs. We accept cats and dogs. There is a $400 pet deposit (non-refundable). Beautifully formed, our luxury studio, one, two and three-bedroom apartment homes include culinary-inspired kitchens with granite countertops and Carrara marble-inspired tile backsplashes, table-sized islands and stainless steel appliances. You’ll also find contemporary lighting, two-tone cabinetry and wood-inspired plank flooring in every apartment home. 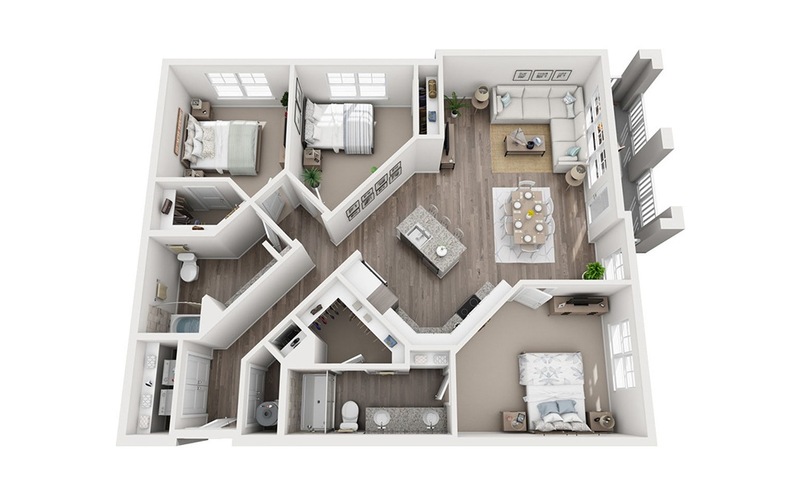 Additionally, our spacious floor plans feature 9' ceilings and over-sized closets. Washers and dryers are available in all apartments, and select homes include walk-in showers with marble-inspired, oversized hotel tiles as an added bonus. © Copyright 2019 Sea Glass.